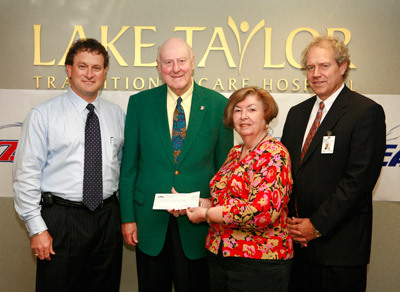 Eagle 97.3 recently presented Lake Taylor Transitional Care Hospital with a check for $1750.00. Each month, Eagle 97.3 auctions off an item for charity. In the case of Lake Taylor, an acoustic guitar, autographed by Trace Adkins, a popular country artist, was auctioned off.